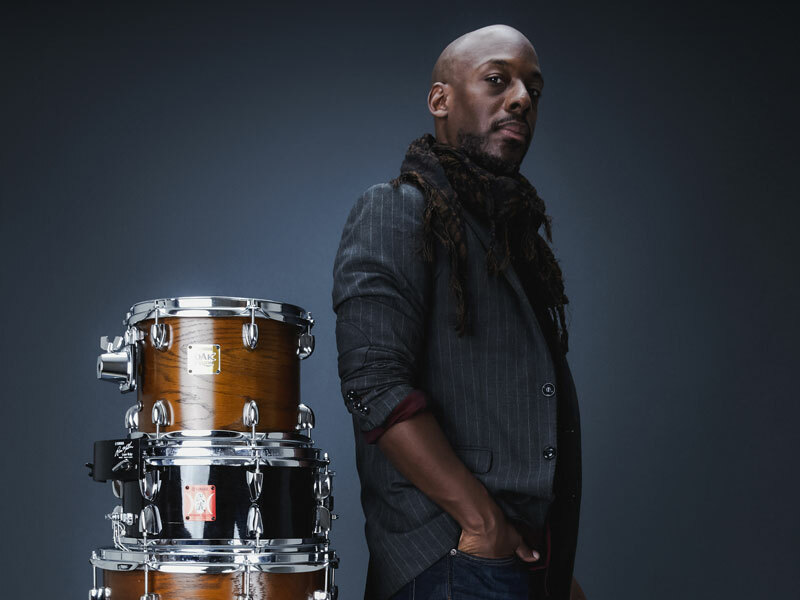 New York based drummer E.J. Strickland belongs to the generation of jazz artists that rose from the City’s jazz scene in the 1990’s. Having worked as a sideman for some the Jazz’s most influential artists of the 21st century including among others Cassandra Wilson, Terence Blanchard, Lizz Wright, Wynton Marsalis, George Colligan, Russell Malone and Ravi Coltrane Strickland is also an accomplished leader in his own right. His most recent album “The Undying Spirit” (2015) received rave reviews and forged the way for performances in some of the worlds most prestigious venues. 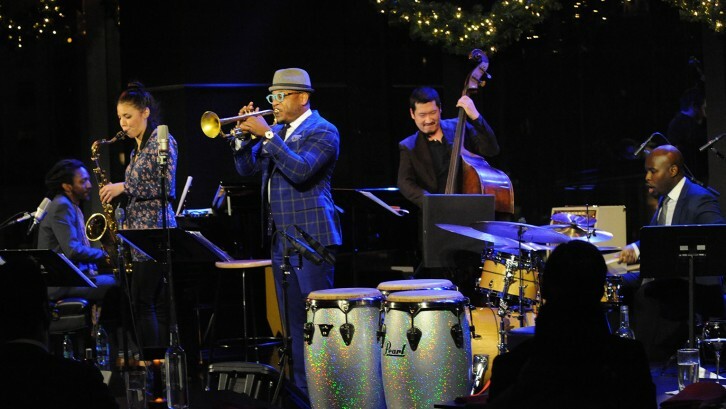 In April Strickland will tour Europe with his Quintet, reason enough to sit down with E.J. for a chat. Andrew Read: EJ, thanks for talking with us. You grew up in Miami in a creative household. 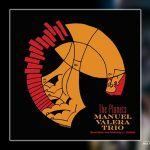 Your father was a percussionist in the Ft. Lauderdale Orchestra and both you and your twin brother Marcus ended up professional jazz musicians. Tell us a little about those early days and the road that led you to your profession? E.J. Strickland: As young kids we were exposed to all kinds of great music growing up. My dad was an audiophile and played LP’s of Stevie Wonder, Miles Davis, John Coltrane, Jon Lucien, Led Zeppelin, etc. all of the time in our house. Jazz was never “foreign” or an “acquired taste” to us. It was a part of our everyday listening. My father also played drumset, mostly funk & R&B. I saw my dad play at a cook-out one time and fell in love with the drums. We were into football early on, then had an interest in engineering, but in middle school we needed an elective. We chose music. I started on trombone, but really wanted to play the drums. I begged my band teacher to let me play the drums and told him my father would teach me. And, I did study drums with my father: rudiments on the snare, basic grooves on the drum set, etc. We started trying to play jazz right away. We fell in love with music and never stopped. 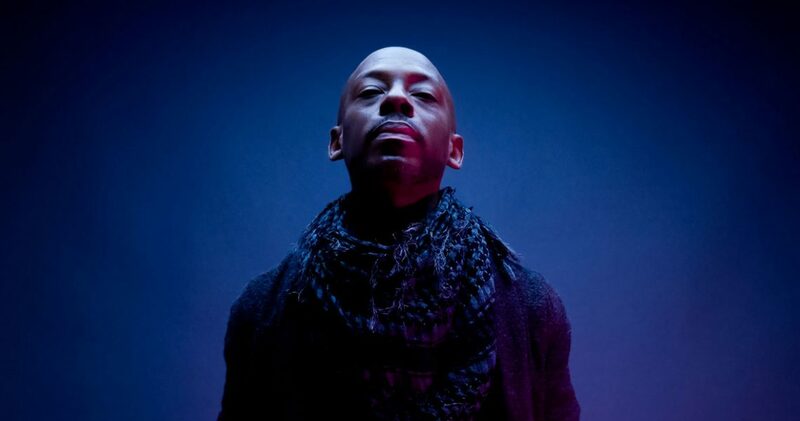 AR: When you moved to New York, you became part of the generation of musicians that included Mike Moreno, Robert Glasper, Brandon Owens, and Marcus Baylor to name just a few. Many of these young players went on to become leaders in their own right and shape today’s jazz. Tell us a little about the NYC scene back then? ES: Before I arrived in New York in 1997, I visited The New School for Social Research where I was considering attending school and eventually did. I saw Buster Williams’ ensemble play in the performance space. Some of the students performing were Gregoire Maret, Marcus Baylor, Jaz Sawyer, Casey Benjamin, Kenyatta Beasley, etc. Right away I knew I wanted to attend school there. When I attended school I had ensemble with Robert Glasper, Mike Moreno, Carlos Henriquez, Seneca Black, & my brother Marcus Strickland. Also, Bilal Oliver was a part of our “crew”. We hung out and saw great performances at The Village Vanguard, Smalls, Blue Note, etc. We were all very tight and some of us still remain very tight until this day. The scene was vibrant, and we’d go out and jam every night at sessions. Cleopatra’s Needle was a regular spot. The Up And Over Jazz Cafe in Brooklyn was a spot I regularly played at. Some of the greatest jazz musicians of the generation before us would appear there, play a bit, and school us on serving the music right: Wynton Marsalis, Roy Hargrove, Russell Malone, Mulgrew Miller, etc. We’d listen to what they had to say and practiced hard. AR: In your early career you worked with Russell Malone and Ravi Coltrane. In your Bio it states “Both artists proved to be big brother types for E.J., gently guiding him as he established his voice.” what were your major “take aways” from this time and what have you carried with you in your career moving forward? ES: Russell Malone reinforced the tradition in my playing. To this day, I don’t really know anyone that knows as much music as Russell does. He would encourage me to really dig down groove. He taught me that making the music “feel good” was the most important thing. Ravi encouraged me to find my own voice and way of interpreting music. I’d always ask, “what do you want me to play” if he didn’t dig something I was doing. He’d tell me, “Just find something”. I had to reach down and find my own dance in the music. His compositions forced me to play different things that I hadn’t played or heard before. AR: You’ve built a successful career as a composer, band leader, and sideman. As a sideman you’ve worked with an impressive list of musicians including Cassandra Wilson, Terence Blanchard, Wynton Marsalis, George Colligan and Vincent Herring, to name a few. Also you’ve appeared on more than 60 albums. Do you find it difficult to balance your work as a sideman and your projects as a leader? ES: These days, I am less busy as a sideman and it is easier to concentrate on my own projects. But, I’m still busy nonetheless with Ravi Coltrane, The Manuel Valera Trio, Brandee Younger, Dave Weiss, etc. Nowadays, I find myself writing music more than anything. I just do my best to create great vehicles for my band to play on. I also started an electric band called Transient Beings which I write music & lyrics for. I have an incredible booking agent Stefany Calembert who is doing a great job on getting me tours. This also helps me focus on being a bandleader and a musician more. AR: Let’s speak about the coming European tour. You have an extensive list for dates starting on the 4th of April in Lyon. Tell us a little about what the punters can expect and who you will be touring with you. ES: This April 2018 tour will be a string of clubs throughout Europe. I will be bringing along 4 other musicians with me: Godwin Louis on alto sax. He is just a wonderful musician and human being. He is always “on” when we perform. Jure Pukl on tenor & soprano saxes, is a beautiful musician who I’ve checked out a lot over the years as a leader of his own groups in NY. This will be our first time playing with one another. I’m looking forward to it. Taber Gable is a super sensitive and exciting pianist who I’ve just started working with. You can really feel his love and appreciation for music in his playing. Josh Ginsburg is a bassist who I’ve toured with and recorded with so much during my career. He has an incredible feel and spirit. We will be playing a lot of music that has not been recorded yet, but we will be recording it soon. I’m really excited about this tour. AR: I’ve noticed that during the tour you will be giving a number of Masterclasse’s. I understand your work as an educator is an important part of what your musical life. when you give a masterclass what is the most important subject you focus on and what do you hope the students will take away. ES: Teaching is something I really love to do and continue to love more and more every time I do it. In my masterclass, we will play a bit. Then I answer questions from the participants. I tend to focus on explaining how to master the basics in order to achieve total freedom on your instrument. I also focus on everyone’s role in a band, and how to listen to one another through the language of music. All in all, I want to help musicians actually become “artists” as opposed to someone who plays an instrument. AR: Having personally spent almost 40 years in the music industry both as a performer and on the business side, I see a massive disconnect between the artistic aspects and the business side of the industry. Do you think educational institutions do enough to prepare students for a life in the music industry? ES: I think music schools can do much more to prepare students for their careers as musicians. I think they should make music business more of a requirement. Also, we need to prepare our students spiritually for the road before them. Attitude adjustment is very important. And, helping a student set up a good living foundation: place to live, masters degrees, branding, etc. could also help them in the future. AR:. Your last album as a leader, “The Undying Spirit” was released in 2015 and received rave reviews. I understand that while you are in Europe next month you will be recording a new album that will be released later in the year. Where will you be recording and what was the motive to record in Europe? ES: Yes, we will be recording an album at a studio in Marseille. My motive is to record the band while on the road and while we are high off of performing this material night after night. I think this way of capturing the momentum will serve us well in the studio. AR: Will this be a continuation of “The Underlying Spirit” or will this album mark a new direction? ES: This album will definitely have a different direction. The personnel will be much different. And, the vibe of the band will have a unique sound. AR: Recently I’ve been asking many of the musicians I interview a standard question that, at times, tends to provoke some controversial answers. So here we go, What is your opinion of the state of jazz today? 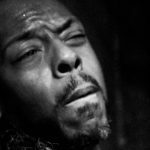 ES: I think that the state of jazz is always evolving to survive and maintain its relevancy in today’s world. I think that there are many musicians who want to control others and make them play a certain way. Also, there’s a lot of controversy over incorporating other styles into the music. But, I feel that we should embrace the changes that are happening. It is only part of the process of evolution. We need to live and let live, I believe. If you are a purest, concentrate on your world of music and do your best at that. If you are someone who loves to incorporate other forms of expression into jazz, concentrate on your world of music and do your best at that. So, all in all, I think we’ll be good as long as we focus more on ourselves and what we have to say than criticizing another for their way of doing things. AR: So to finish off, Apart from the new album later this year, what’s next for EJ Strickland? ES: Next for me is to continue and start other projects: I have my electric band Transient Beings. I’ve written a few big band charts, and hope to continue writing and work with my own large ensemble one day. I also, would love to teach more. It feeds my soul in a way that performing doesn’t. It is less selfish and serves the world in a different way. AR: Thanks E.J for taking the time to speak with us. Joining E.J. on his tour will be, Jure Pukl – tenor & soprano sax, Godwin Louis alto sax, Taber Gable piano and Josh Ginsburg contrabas. 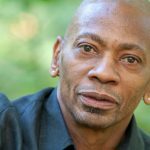 More information on E.J. Strickland can be found at the Jammin’colorS website. E.J. Strickland – A warrior for peace. 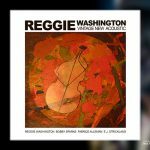 Reggie Washington – Vintage New Acoustic live.